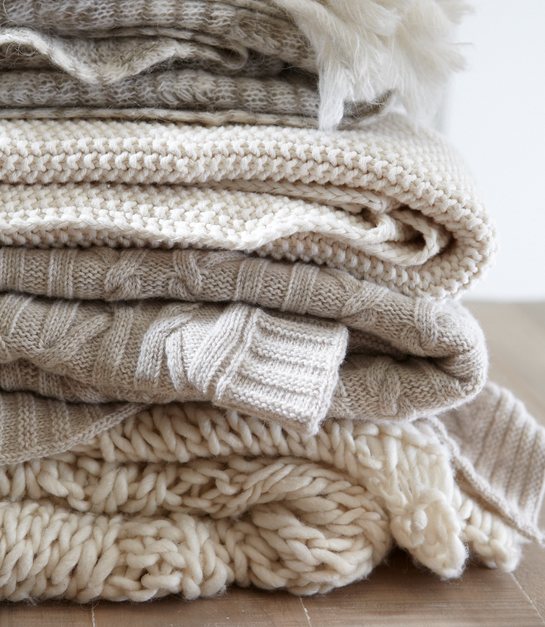 With the cold weather approaching, coming home to a warm and snuggly bed is to say the very least, dreamy. Snuggling up with a movie and some extra blankets during this chilly December weather is what we are dreaming of this holiday season. 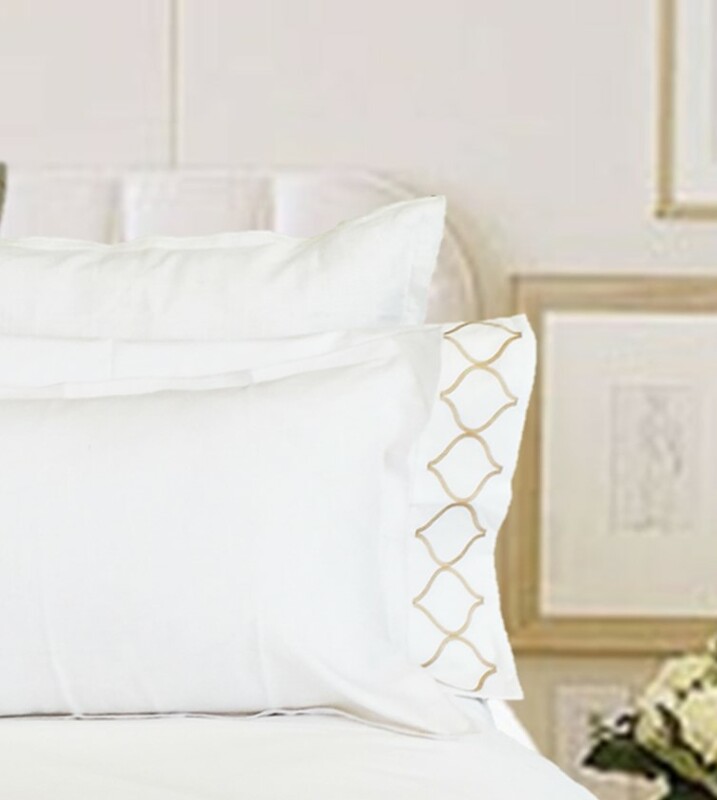 Nobody knows how to make a dreamy bed more than our own KF, so here are some of her faves that she shared with us. 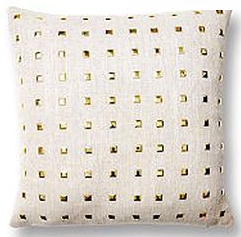 Fluffy white pillows with ball fringe give this bed a soft, feminine touch. 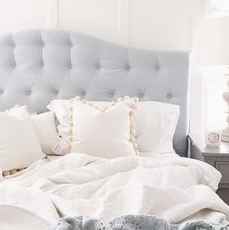 All white complimented with soft blue is calming and makes us want to crawl right in. 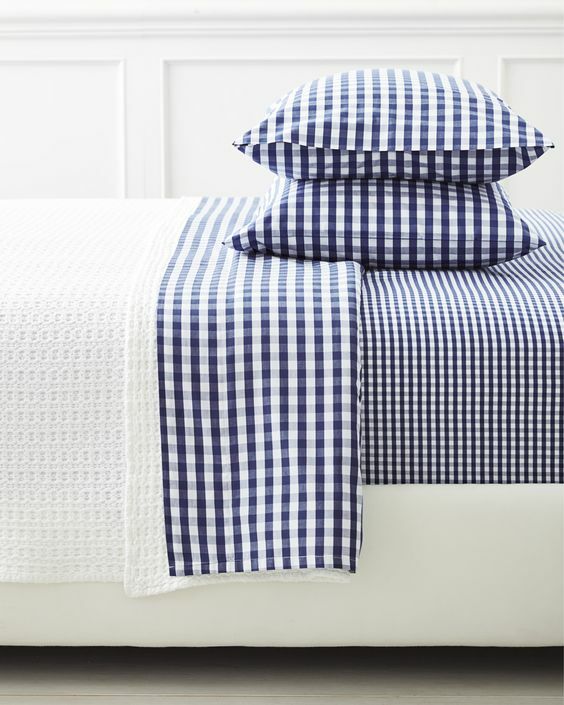 These knit blankets will keep you warm all night and look fab draped over the end of the bed. Wrapped around you with a cup of coffee and a magazine on Saturday morning, what could be more dreamy. 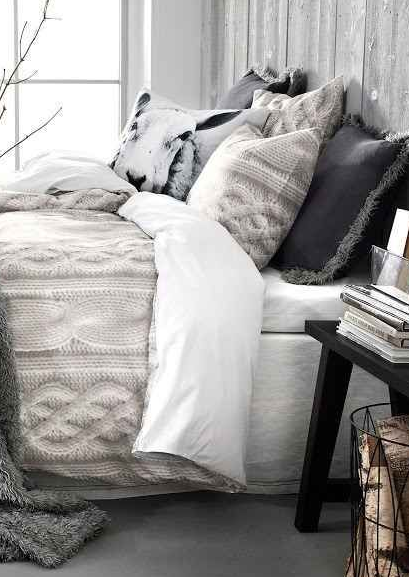 Mixed textures like this over-scaled knit with faux fur, along with a lovely set of sheets and a printed pillow make this bed a sumptuous place to land. All of the patterns and layers add warmth with a totally chic vibe. Add a pop of color with accent pillows or a rug with a fun design to add an eclectic feel to the room. 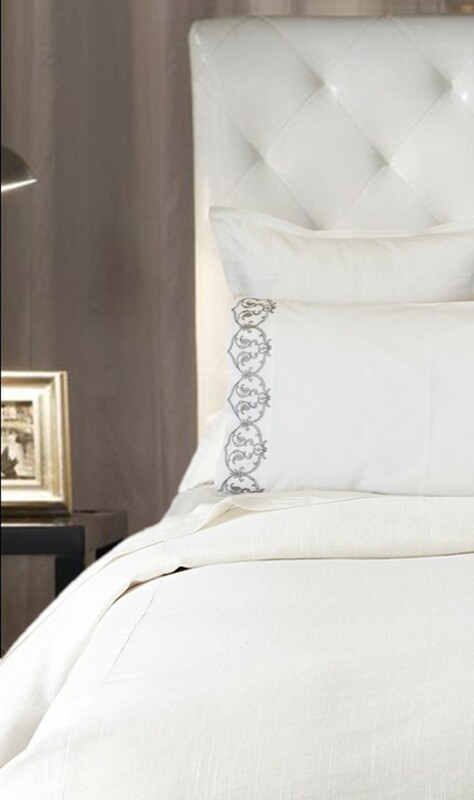 This duvet with oversized ball fringe makes a dramatic statement while staying neutral and lush. It always adds a touch of playful whimsy and has a lofty, boho chic vibe. Breakfast in bed please! 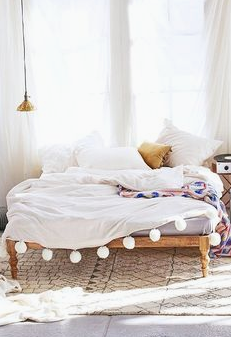 A mix of neutral colors like these with sumptuous texture create a warm and inviting bed. 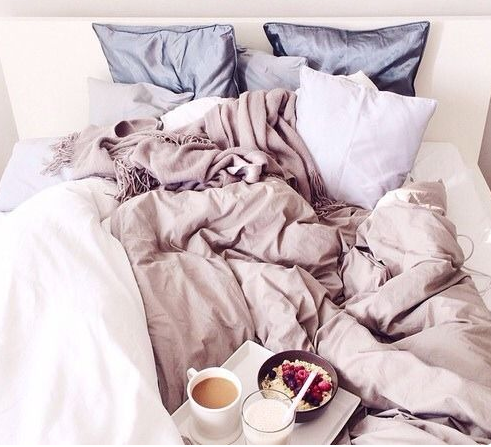 Could you resist breakfast in bed here? We say No! Create an inviting nook with twinkle lights draped from the ceiling and loads of texture throughout. This room makes more than a statement with the patterned blankets, faux fur rugs, textured pillows, and eclectic style. 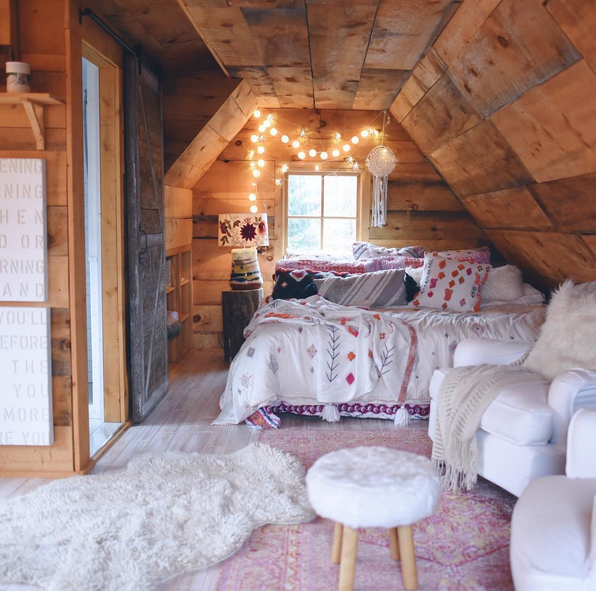 The old wood beams bring a rustic and cozy feel to the space. All white with loads of texture is relaxing and ultra refined. 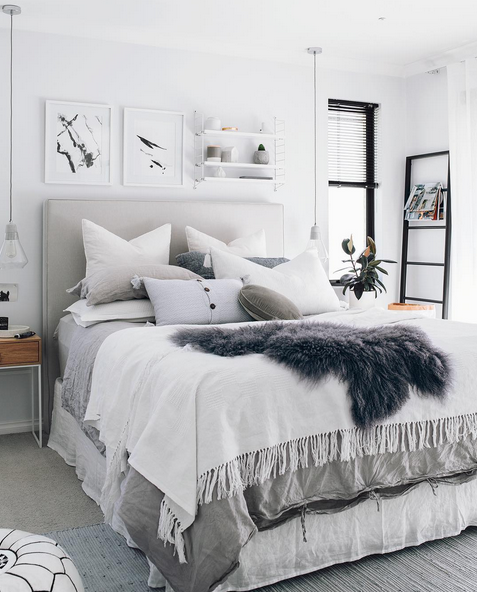 Add natural accents of varied shades of grey to create a bedroom you won’t leave for the entire winter season!